"This might come off as mean, but I'm honestly just curious. 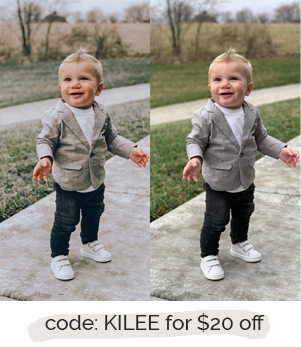 I have three boys and a full-time job and I have no idea how you manage those things AND shop for all these amazing clothes. How/when do you find the time to buy so many clothes?!?" Good question. I'd wonder the same thing about myself if I weren't me! And sometimes I do wonder a variation of that question, like, "How do I get anything done while trying to take care of four boys, a house, and run a business?" I'm really not sure. But this question I do have an answer for—and it's a longer one than I think she wanted on Instagram. So here it goes: How do I have time to shop for all of the clothes I wear and share, while being a mom and running a business? 1. It doesn't take me as much time as you think. Back before I started blogging and even in the first few years of blogging, I shopped totally differently than I do today. I rarely shopped online, and I only shopped whenever I could get to the thrift store, Target, or Old Navy. I always tried things on, and I knew less about what I wanted when I was shopping. It was all very haphazard. Maybe some of you can relate. But I love clothes and I love putting outfits together that are "me." So I continued to blog, I started spending more money on clothes, and I started to shop more online. The last couple of years I've switched to shopping online exclusively, and I do it a lot. I've become VERY familiar with the brands that I love, how their clothes fit, and the clothes they carry. I spend time learning things like "how to shop at Nordstrom" and which brands carry what. I am constantly looking at new arrivals at all of my favorite stores so that I can stay current with what is in stores. So yes, it takes time, but I'm a very savvy online shopper now, and I can do it from my phone any time of day. 2. It's one of the ways I spend my downtime. And speaking of any time of day, online shopping is often how I spend my downtime. I usually browse a few shopping apps in the morning or at night and maybe during the day too. I also do other things with my downtime, but when I want to just veg, often it is seeing what is new at Madewell, Asos, or Nordstrom. 3. It's part of my job—both of my jobs! Before you judge me for spending lots of time and money shopping online, remember that I work in fashion. Blogging is my job, so knowing what is new, what is trending, and what is on sale is part of the "personal shopper" part of One Little Momma. I also am always browsing or shopping as part of running Nickel & Suede. We almost always have some kind of a photo shoot coming up, and my photographer and I are always shopping for the next shoot. It's really valuable for me to be familiar with what is in stores and what is currently trending as I style shoots and plan the marketing side of our business. 4. I also earn an income from it. I earn money whenever my readers buy through the links I use to share what I'm wearing or what I love. And to me, that is one of the best and most authentic ways to earn money blogging. I buy what I want, I share it with you, and if I deliver a good outfit or if I can suggest a helpful item for you, you can buy it and I earn back money to cover the cost of my purchases—and hopefully more if I recommended something really great! 5. My closet needs to be constantly turning over. I DO NOT EXPECT ANYONE TO HAVE MY CLOSET. 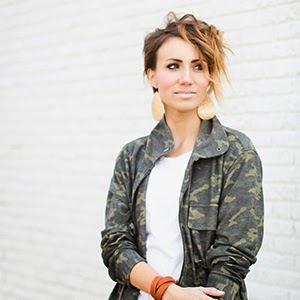 I am so thankful that I get to do what I love with Nickel & Suede and with blogging to earn a living for my family. It's such a huge blessing. And I hope you understand that because those are my jobs, my closet and my spending habits are not normal. I spend more now on clothes than I ever have. And my closet is constantly turning over because readers expect to be able to purchase everything I'm wearing all of the time. I don't mean that to sound pretentious, but someone, somewhere always wants to know where I found something that I'm wearing, plus how they can find it. And so when something sells out or it's from last year, it can frustrate people. It's the same for Nickel & Suede earrings: I can only wear colors that are currently for sale. I hope that is helpful. I try to be as real as possible around here, and this post is hopefully evidence of that. I never intend to come across as saying, "I'm just like you, so your closet should be just like mine." I am just like you in a 1,000 ways, but being a fashion blogger definitely makes me different too. If I can inspire you to put an outfit together or to add a few things to your closet here and there or to try a new trend, then I've done my job. If I can help you get a new pair of shoes on sale or find a better-fitting pair of jeans or splurge on a great jacket—I'm happy to help! I loved this article!! I often wondered how being a fashion blogger all worked. Thanks for talking the time to explain. Love your style!! Great post! I think you explained the question very authentically and in a light people may have not considered, especially with point #5. I love coming to this space on the internet that you have created to feel inspired for my own closet. Thanks for that! Thank you for all of your hard work. 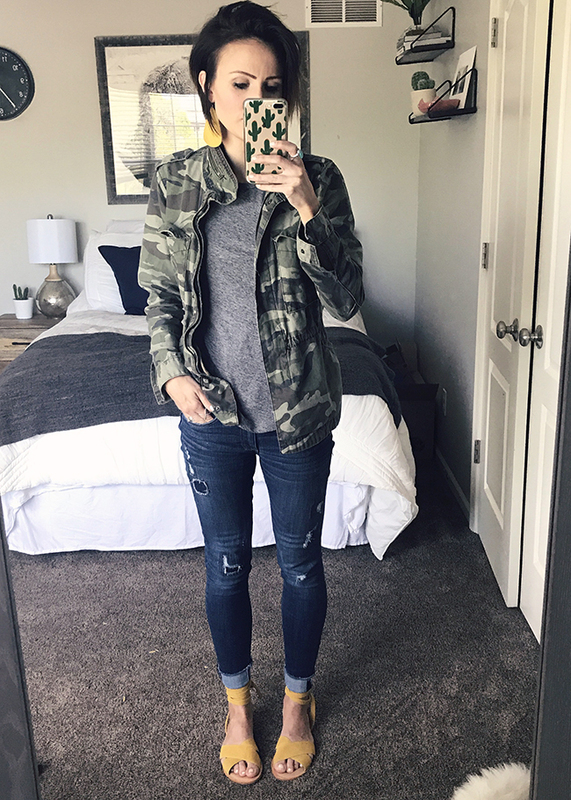 I really enjoy seeing how you create outfits from some of my favorites such as Nordstrom and Madewell. In addition, your wonderful Nickel & Suede earrings. I always get compliments when I wear them! I love this post. I want to be able to turn my closet over like fashion bloggers, but my budget certainly doesn't allow for it (as most don't, like you said). I love seeing your fashion posts and trying to pull pieces from my closet to make something similar. How do you get linked up with getting paid for others clicking the link to buy an item?